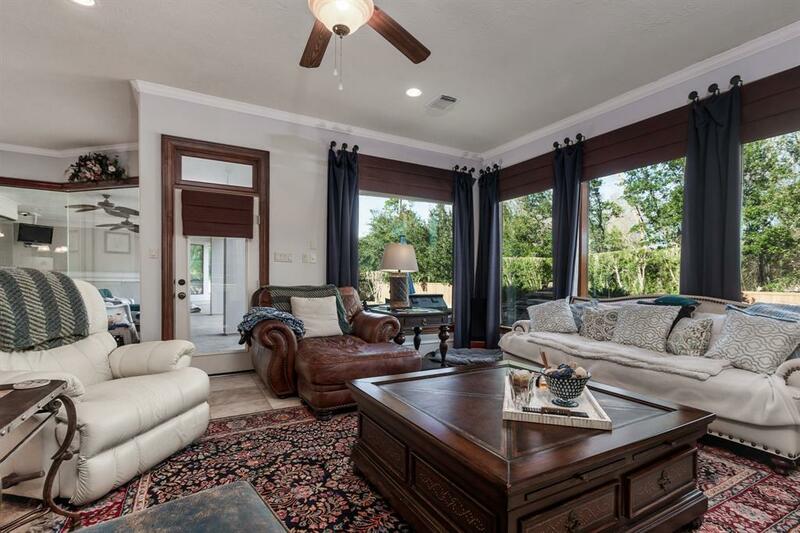 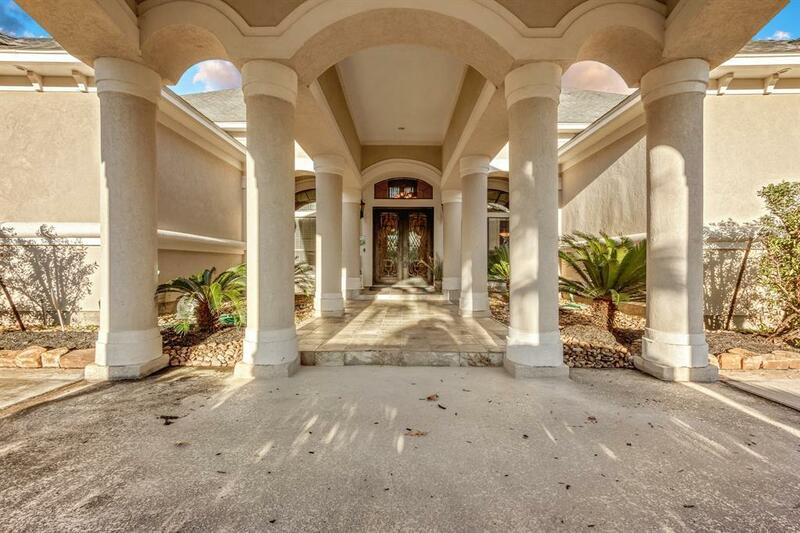 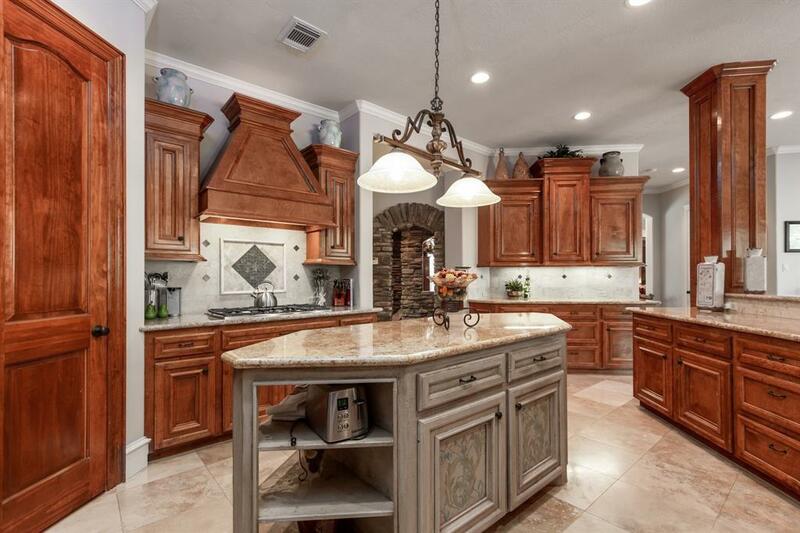 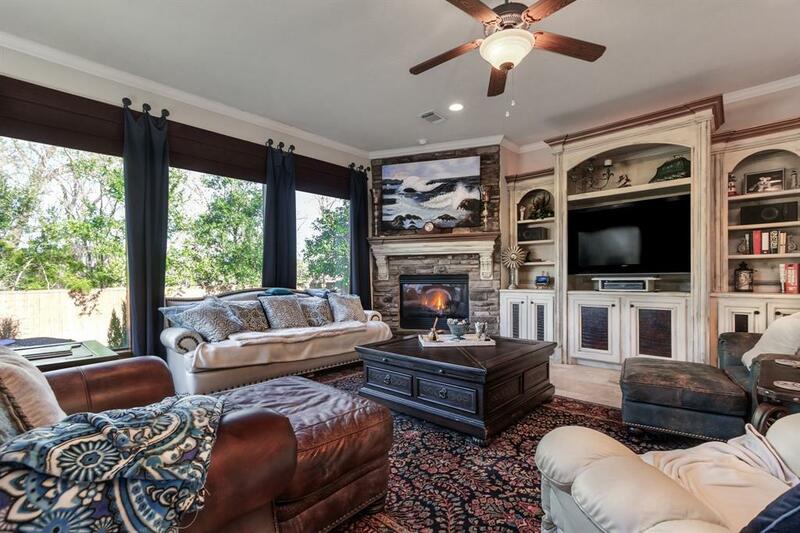 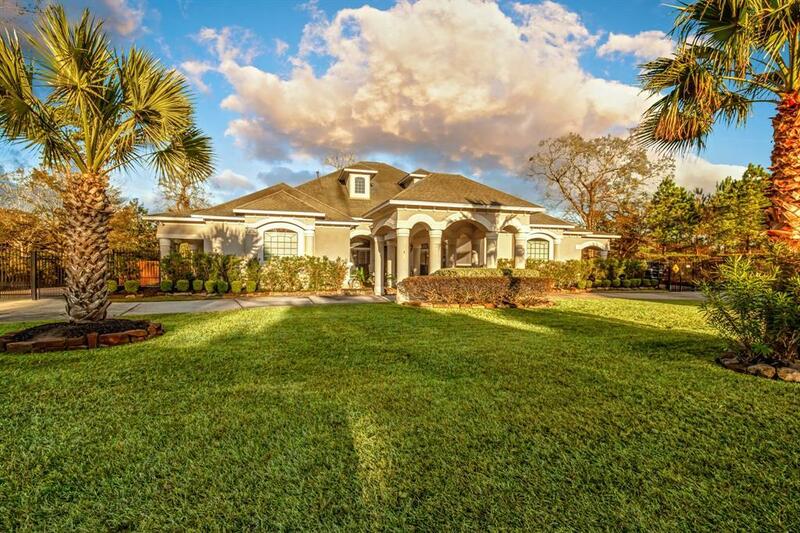 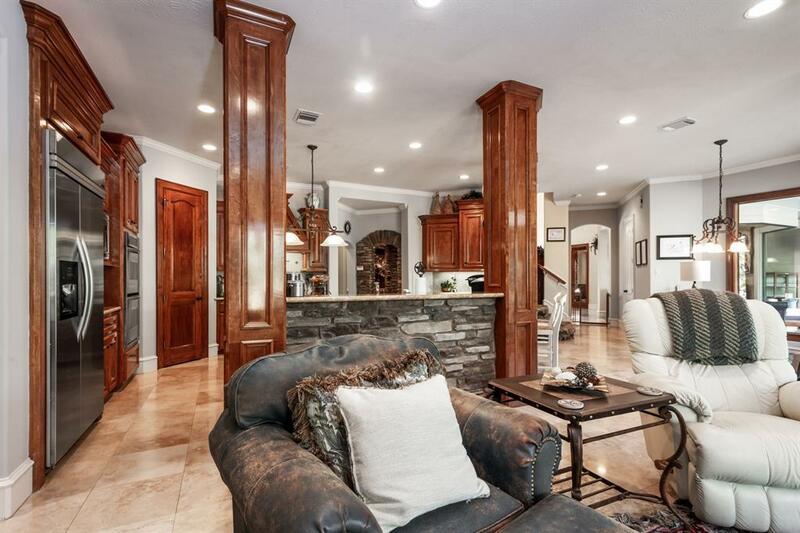 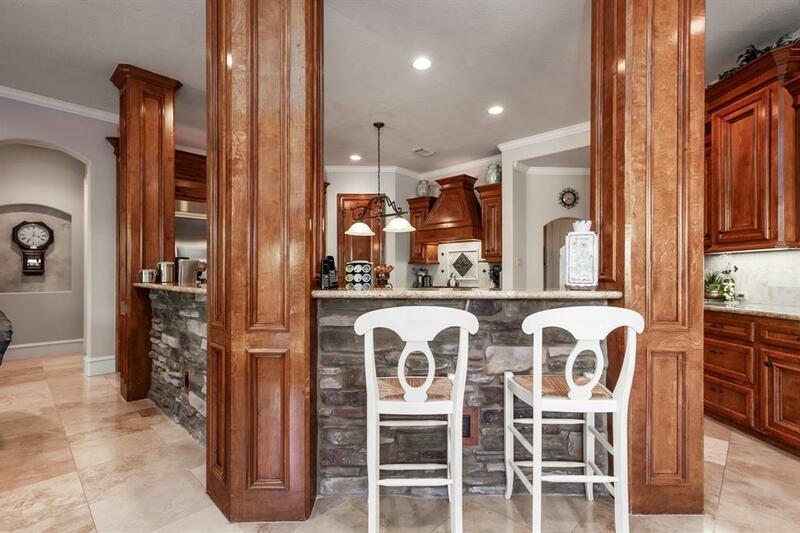 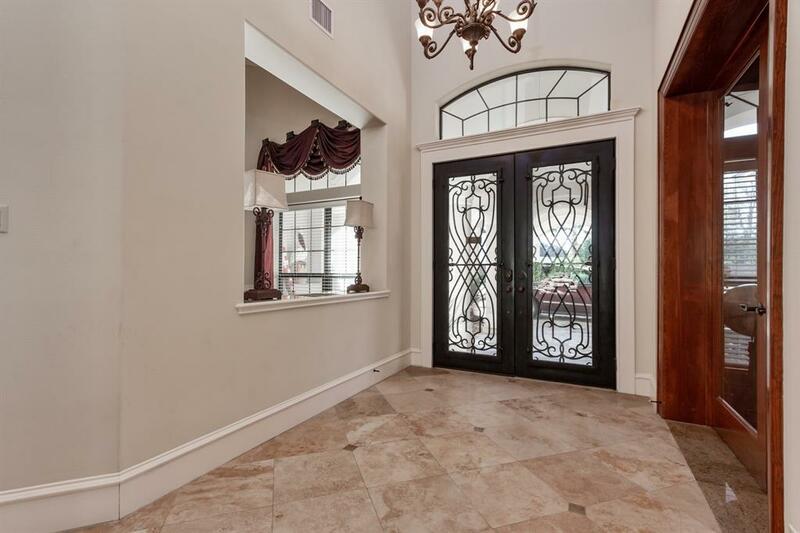 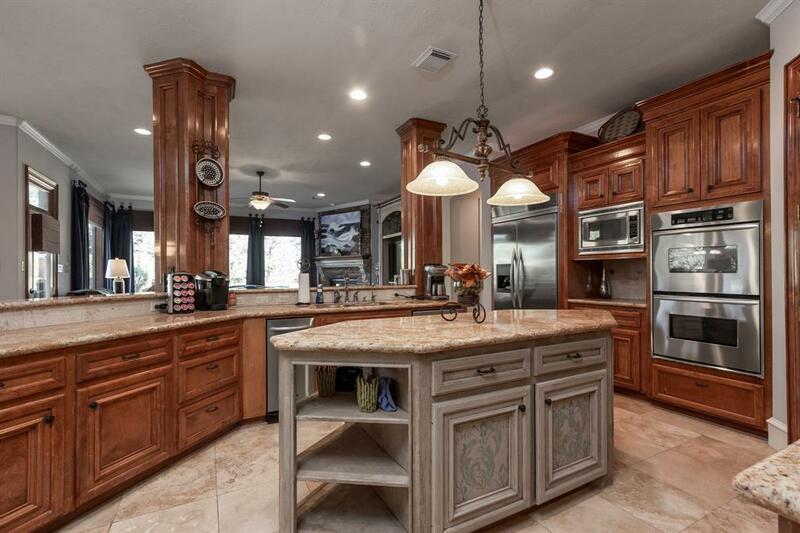 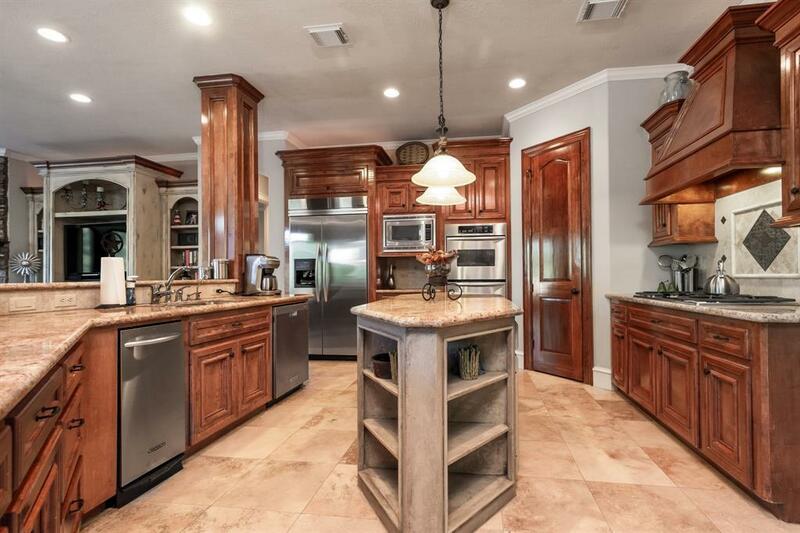 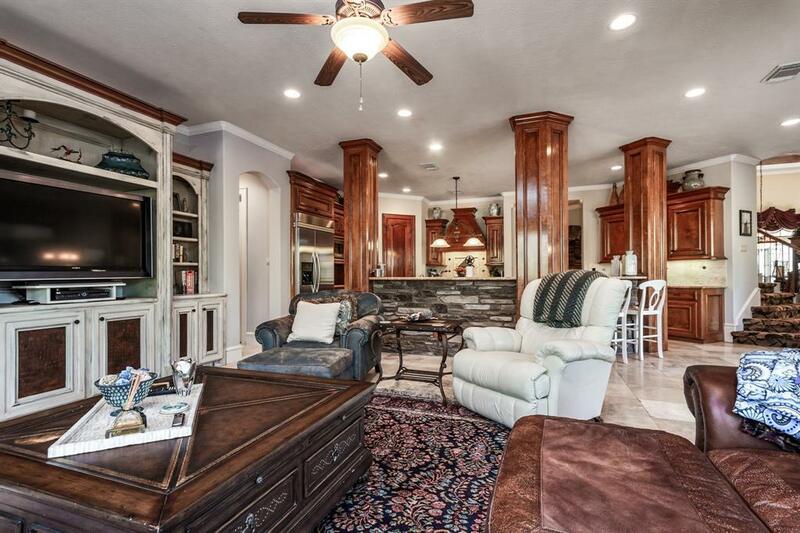 Remarkable 4 car garage estate home on nearly half acre with private backyard! You wont want to miss this beautifully maintained home featuring large island kitchen with stunning stone work and plenty of cabinets. 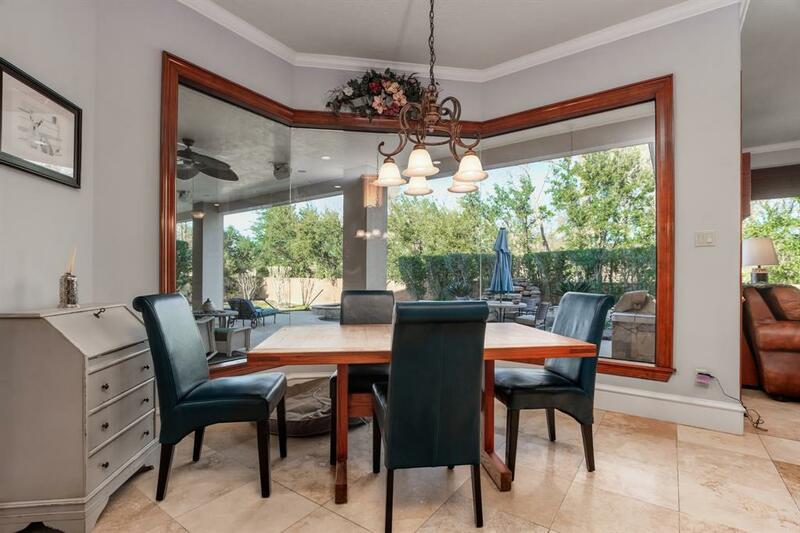 Kitchen opens to den for entertaining and features a door out to your very own large covered patio and terraced back yard oasis. Stone waterfall pool and oversized hot tub. 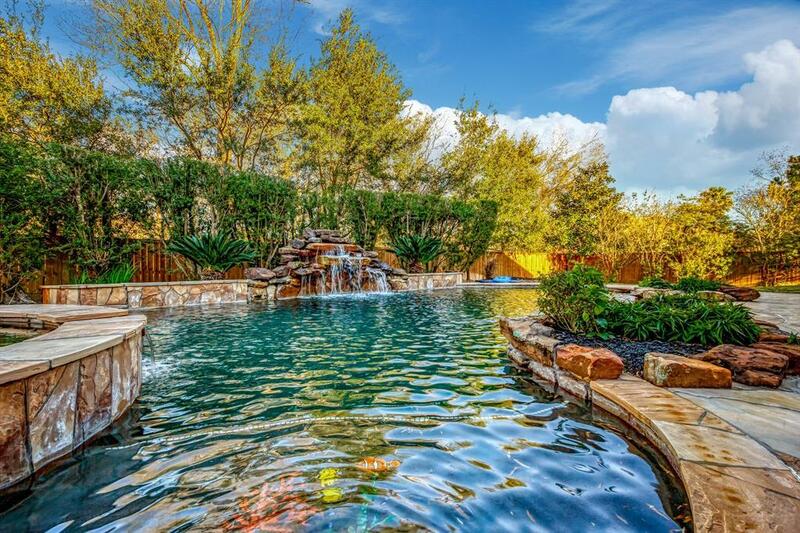 Plenty of green space in addition to the pool, outdoor kitchen and patio. 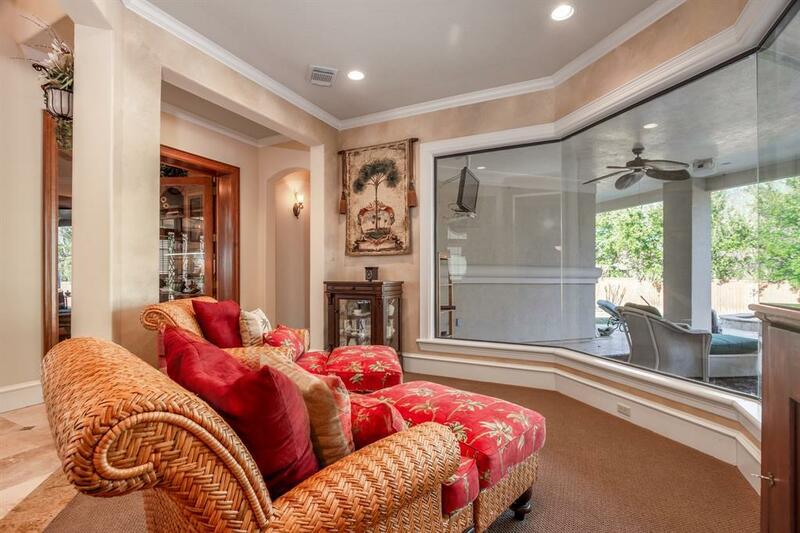 Butted glass windows along back of house to enjoy the beautiful outdoors. 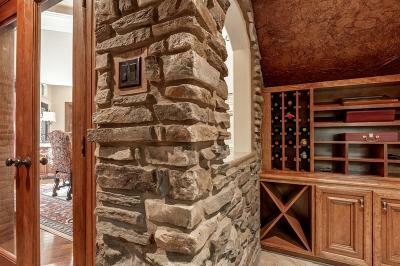 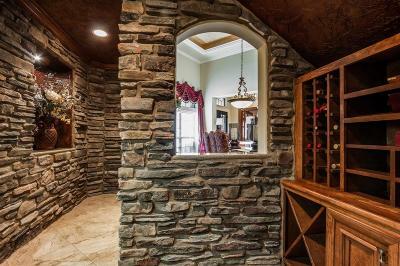 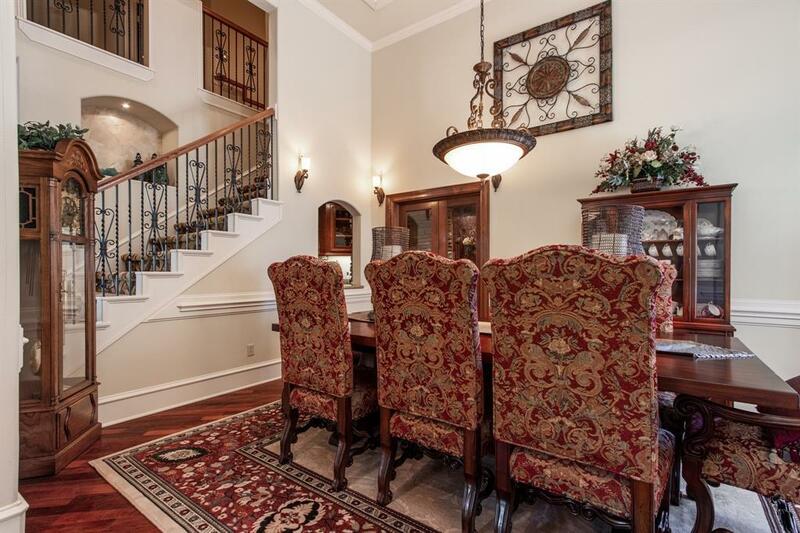 Large formal dining with wine grotto. 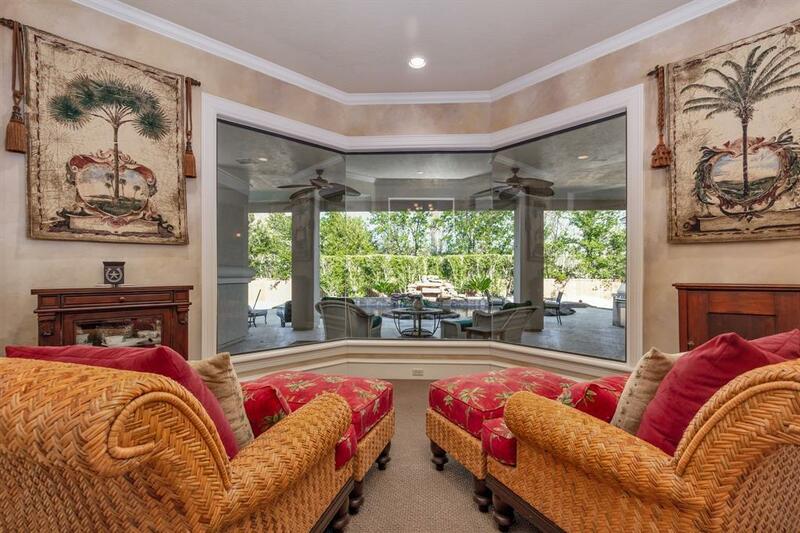 Formal living overlooking backyard. 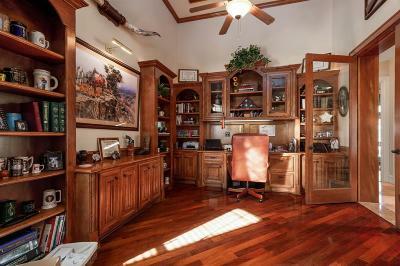 Private Study w/soaring ceilings & builtins. 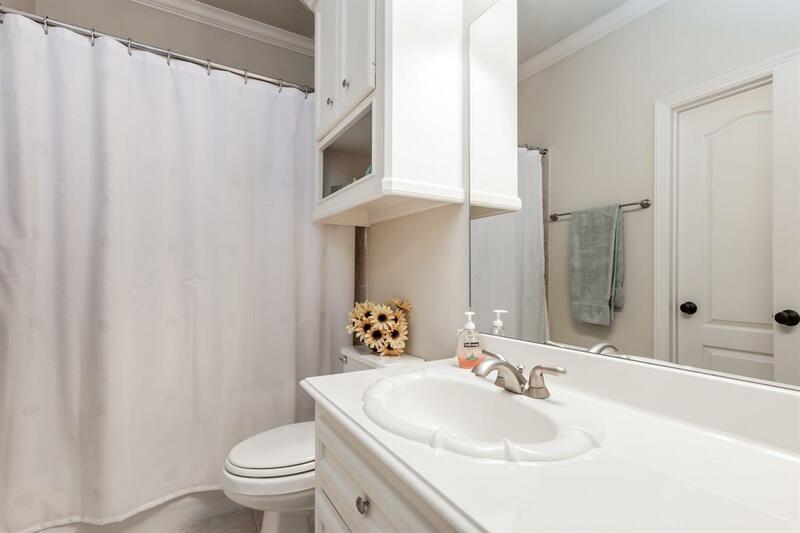 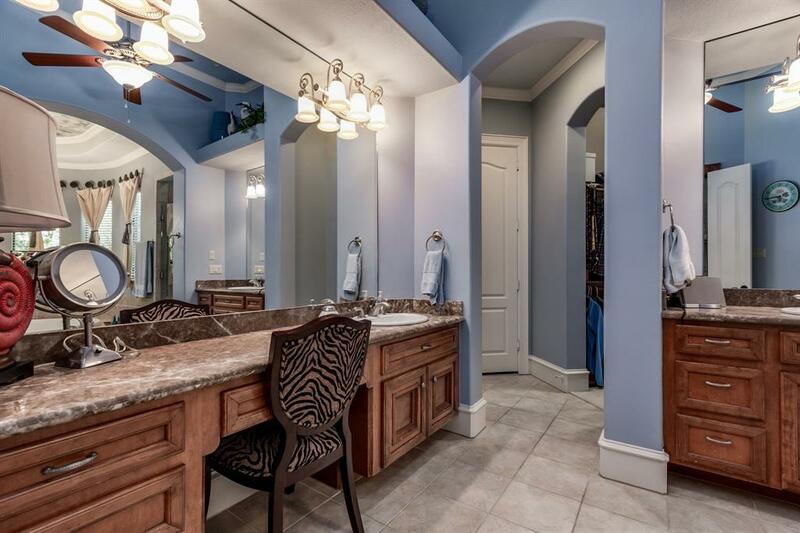 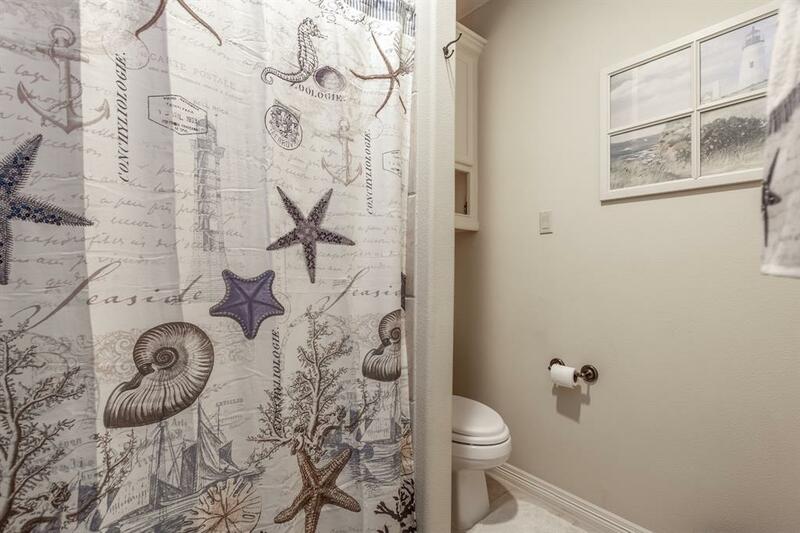 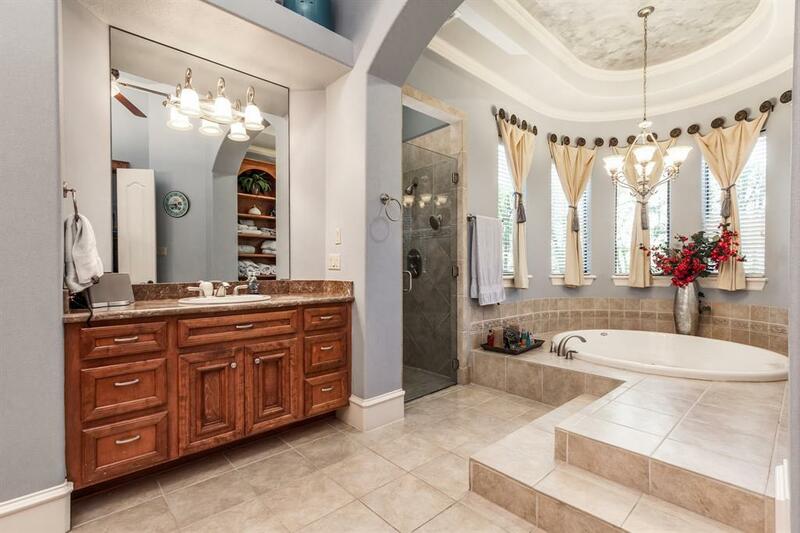 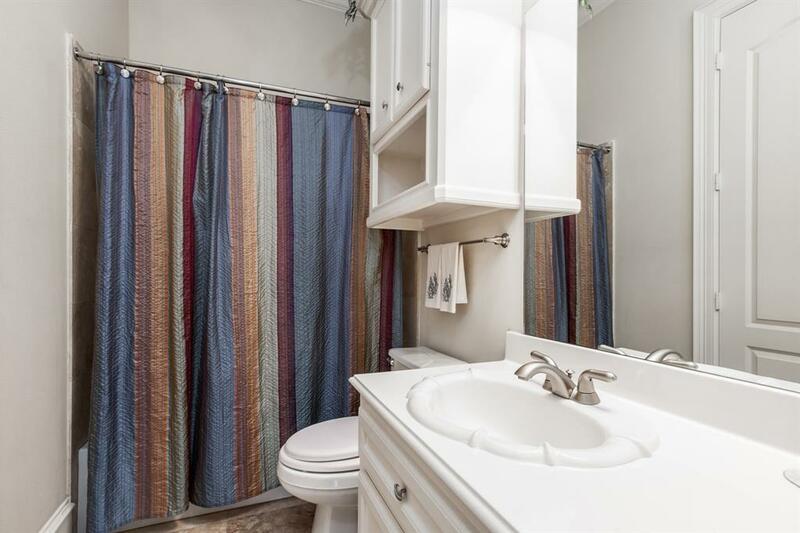 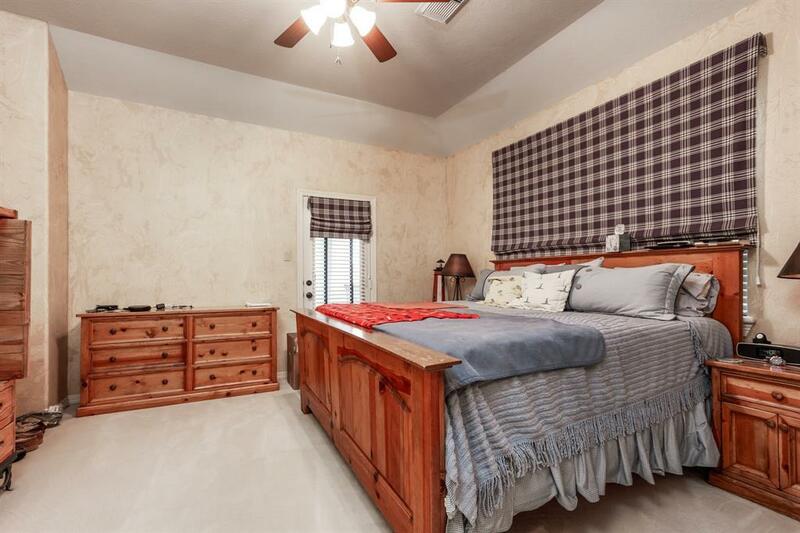 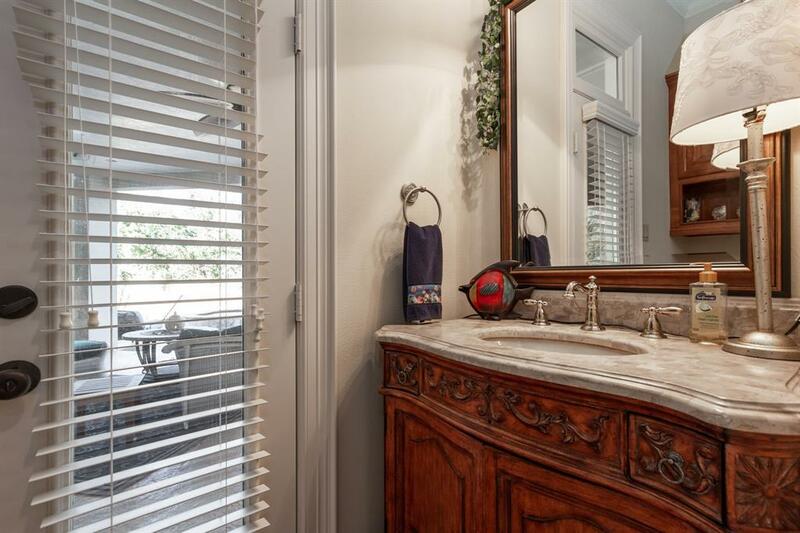 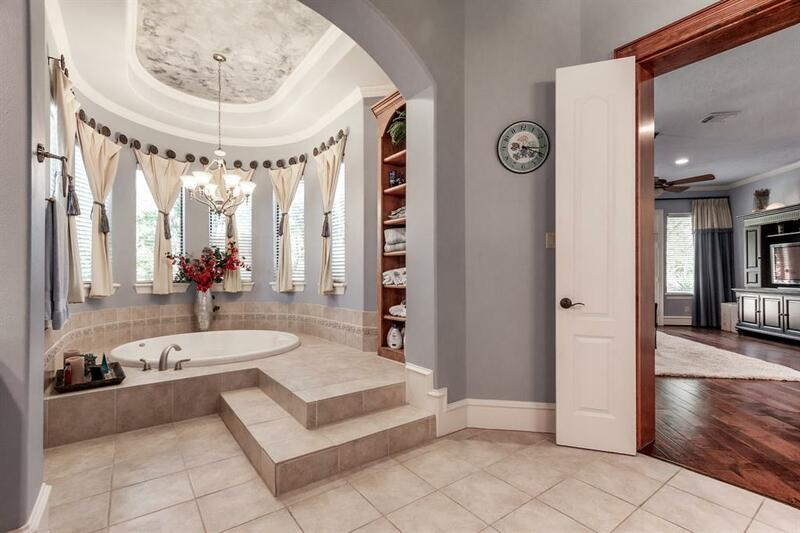 Master en suite has room for sitting area; Spa like master bath! 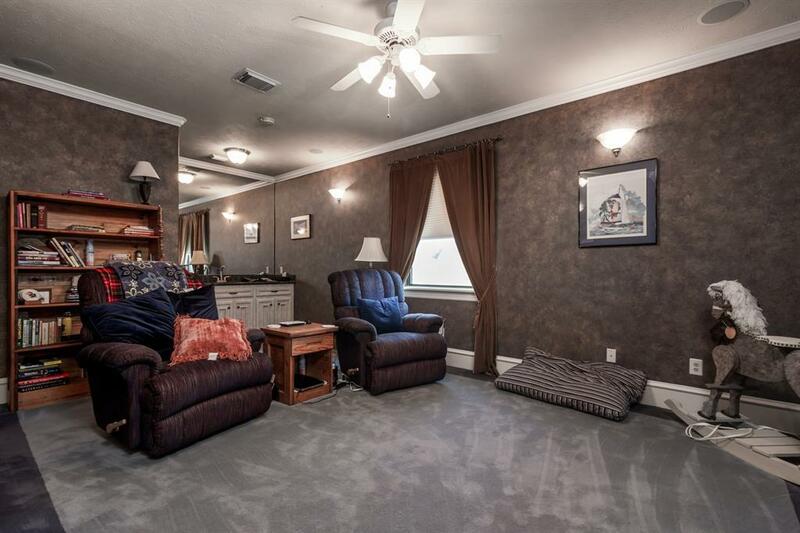 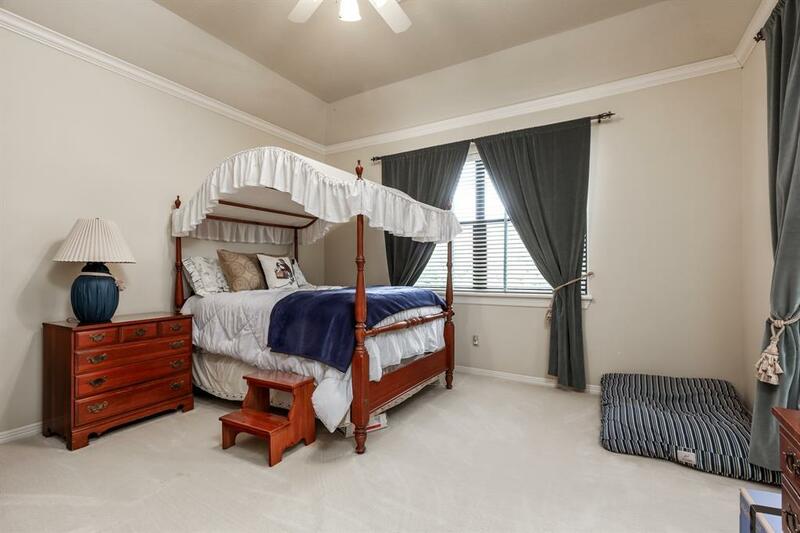 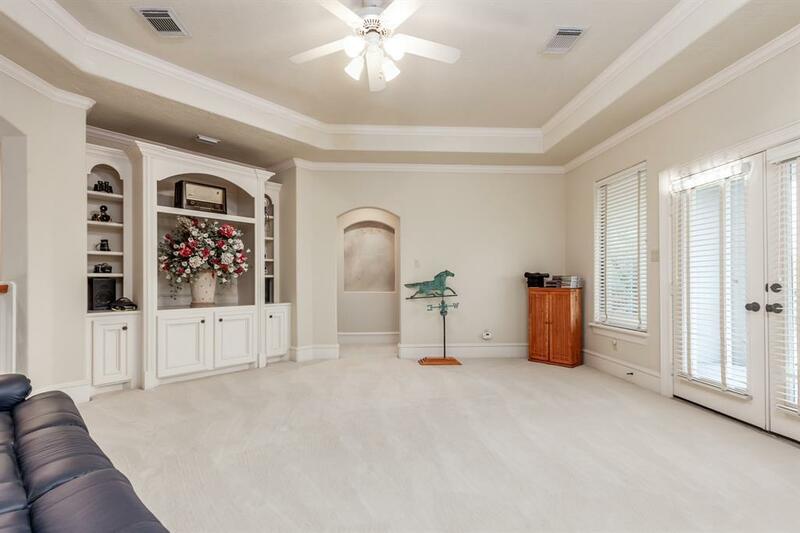 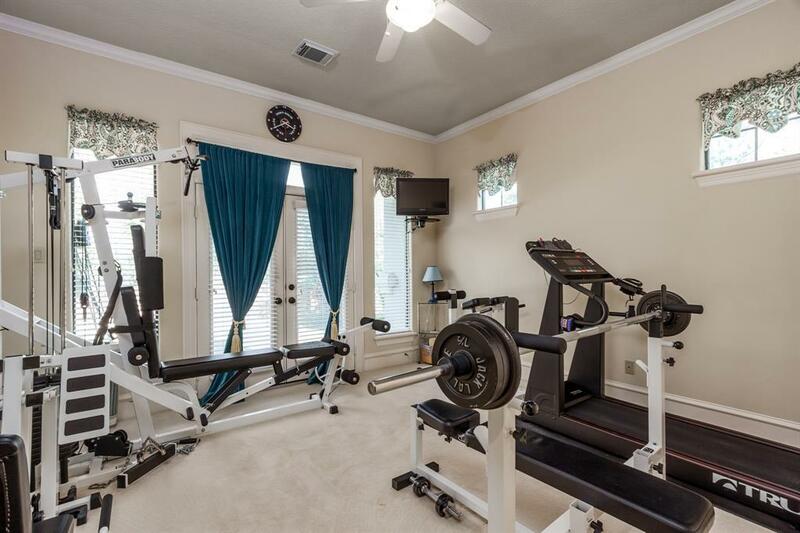 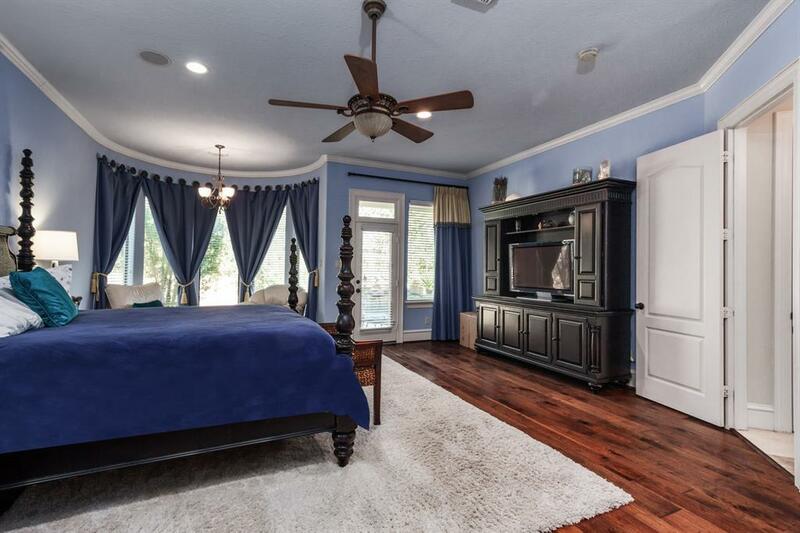 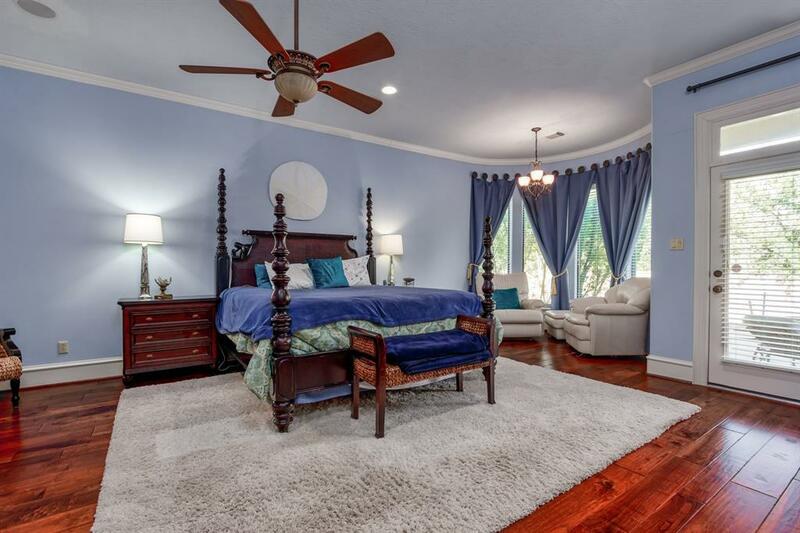 Upstairs features media room, gameroom w/ balcony overlooking backyard.Spacious secondary rooms with plenty of storage. 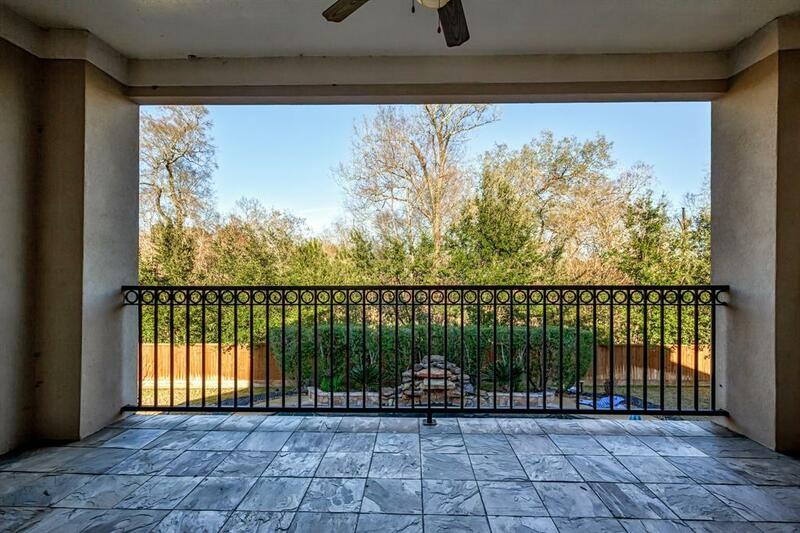 Iron fence & driveway gate helps utilize entire backyard space! 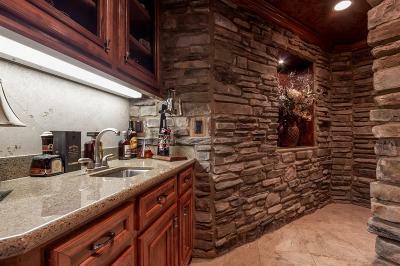 **Water well**Home generator *Dont miss!